South Korea’s Political Crisis: Who Was Behind the Dissolution of the UPP Opposition Party? Recently leaked evidence suggests Park Geun-hye’s former chief of staff Kim Ki-choon may have meddled in the Constitutional Court’s controversial 2014 ruling to dissolve the opposition Unified Progressive Party (UPP). A journal left behind by the late Kim Young-han, former Senior Blue House Secretary for Civil Affairs,suggests Kim Ki-choon had prior knowledge of the court’s verdict and discussed it at a meeting at the Blue House two days before the court delivered its ruling. According to the journal, Kim Ki-choon also had insider knowledge of a split among the Constitutional Court judges on whether the court’s decision to dissolve the party should unseat UPP’s representatives in the National Assembly. Kim Ki-choon, who was instrumental in drafting the 1972 Yushin constitution that granted dictatorial powers to Park Geun-hye’s father Park Chung-hee, also served as the Minister of Justice during Roh Tae-woo’s military dictatorship and was the chief orchestrator of the motion to impeach former President Roh Moo-hyun in the National Assembly in 2004. He has often been criticized for wielding excessive power as Park Geun-hye’s chief counsel. 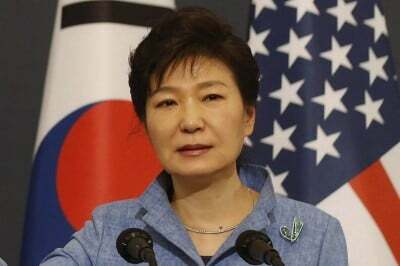 The UPP was dissolved by an unprecedentedConstitutional Court ruling in December 2014 in response to a petition filed by the Park Geun-hye government, which alleged that the party was under orders from North Korea to subvert the South Korean state through violent revolution. Kim Young-han’s journal, recently released by his family to the media, contains a detailed record of Blue House cabinet meetings while he served as a senior secretary to the president. It has become the focus of the National Assembly’s ongoing “Choi Soon-sil Gate” hearings, broadcast on live television everyday this week, and is fanning public indignation ahead of Friday’s vote on Park Geun-hye’s impeachment in the National Assembly. Kim Young-han had written on December 17, 2014, “Party dissolution confirmed, proportional representatives lose seats” under a section entitled “Chief,” denoting then-Chief of Staff Kim Ki-choon. The Constitutional Court announced its 8 to 1 verdict to dissolve the UPP two days later on December 19. Kim Young-han had also written, “Split on whether district representatives should lose their seats; chief justice mediating opinion (today). After mediation, 19th, early 22nd.” It appears the Blue House also had insider knowledge of diverging opinions among the judges on whether the UPP’s district representatives to the National Assembly, i.e. elected by the people of their districts, should lose their seats as a result of the court’s ruling. It also apparently knew that the chief justice was in the process of mediating consensus and that the court would deliver its ruling on December 19 or 22. The Constitutional Court has said in the past that it had reached its final ruling to dissolve the UPP just prior to its announcement on December 19, 2014. But Kim had noted both the verdict and the timing of the announcement two days before it actually occurred. This implies the possibility of illicit contact between the Blue House and the Constitutional Court and raisesserious questions about the political independence of the judiciary. Kim Young-han’s journal also suggests the Blue Housemay have interfered with the recovery efforts after the Sewol tragedy. He had written on October 27, 2014, “Raising the Sewol— body recovery X, government responsibility, burden.” The comment was attributed to Kim Ki-Choon and noted on the day that the bereaved families of the Sewol tragedy requested the government continue to search for the missing bodies of the Sewol victims. Nine bodies are still missing. Kim Ki-choon, who appeared as a witness at the National Assembly’s “Choi Soon-sil Gate” hearing this week, was asked pointedly, “Did you say at a Blue House cabinet meeting that recovering the bodies of the Sewol tragedy will be a burden to the government?” Kim Ki-choon denied having said any of the things attributed to him in Kim Young-han’s journal and suggested the notes are merely the subjective thoughts of the author. The National Assembly will vote on Park Geun-hye’s impeachment tomorrow, Friday at 3 pm (Seoul). Impeachment seems a near certainty as the Saenuri Party, keenly aware of public sentiment, has decided not to vote against impeachment as a bloc but allow the party’s lawmakers to vote individually as they wish. Opposition party lawmakers have all vowed to resign should the impeachment vote fail to pass and are keeping vigil overnight at the National Assembly to demonstrate their unified stance on the eve of the vote. If the impeachment vote passes, all eyes will then turn to the Constitutional Court, which has 180 days to deliver a ruling on the impeachment while the prime minister serves as acting president. The mass protests that made the historic impeachment vote possible will shift their focus to ensure that the Constitutional Court delivers a just ruling. This time, the Blue House and meddlers like Kim Ki-choon will have no room to maneuver to shape the outcome.